"Over 30 years ago, my father Roger Sr. started in this business with his pickup truck and help from his 10 children. 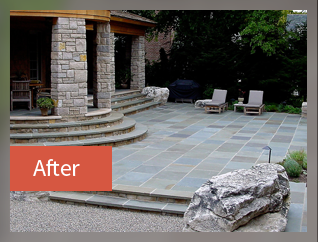 Today, as the 3rd generation business owner, I've become one of Michigan's most respected full-service custom stone hardscape designers and installers in the industry. I believe our continued success was built on our commitment to customer satisfaction by providing quality products and services. Just recently my daughter, Sarah Soulliere, decided to carry on the tradition of stone excellence; and with her business degree from Grand Valley State University, along with help from myself to review, design and estimate every job, you can rest assured that the quality and reputation will continue. Please feel free to allow us into you home/projects so you too can see the Soulliere difference!" Roger Soulliere Jr.
4 Generations in the making! Grandpa Soulliere and his brothers ran a nursery business in St. Clair Shores that still operates today by extended Soulliere family members. Roger Soulliere Sr. and his brothers opened a sod farm company 'Soulliere Landscaping', ultimately resulting in an invitation to the White House to be commended by First Lady Bird Johnson. 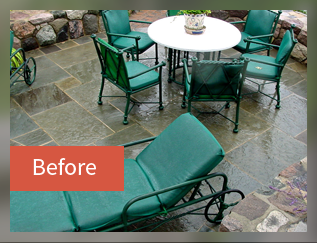 Recognizing the beauty of hardscapes early on, Roger, Jr. introduced brick paving to Michigan in 1979. Roger landed large commercial projects such as Comerica Park, Ford Field, DTE Headquarters, DIA, & dozens of others. In addition, he also donated and installed 15,000 bricks for the Greenfield Village. Carrying on the Soulliere legacy is Roger, Jr.'s daughter, Sarah Denise Soulliere. Being purposely named to carry the same initials as Soulliere Decorative Stone, it is only fitting that she developed a love for the industry. How quickly do you need the job done? The contents of this webpage are Copyright © 2019 SDS Stone Paving. All Rights Reserved.